Big thanks to Saku, OH1KH who added most of the new features. A lot of them are related do hams who use digital modes, but there is at least one new feature that will like also CW guys like me - simple contest window. I've used it several times and it worked very well. Great work, Saku! New packages for Ubuntu 16.04, 16.10 and 17.04 are already prepared on Launchpad. Ubuntu 14.04 users have to use binaries from Downloads section. I could not create packages of Lazarus 1.6.4 and fpc 3.02 used to build this version of CQRLOG. 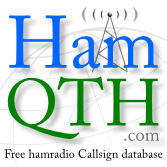 Thanks for splendid support of the BEST Linux Ham Radio Logging program - The BEST Ham Radio Logging program period! Hi Saku and Petr, this wsjtx monitor is so awesome and now that it supports FT8 its extra awesome. I normally don't like to request feature from open source developers, but would you be willing to adjust the fonts and colors of the WSJTX CQ monitor? I have red-green color blindness and its really extra work to see if a grid is new. Making user selectable colours is not very hard, needs just more work. But making selectable font causes also need of window scaling and that is currently out of my experience. Open source does not mean you have to change all you needs by yourself. Good ideas are always welcome and show out that there is interest for application. I tried installing on Ubnuntu 16.04 but no matter what I try, I can't get cqrlog to recognize mysql. I even went to the mysql site referenced in one of the comments, but after upgrading the the latest (apparently successfully), I still get errors about not finding the client.